I’m over it. Absolutely over it. 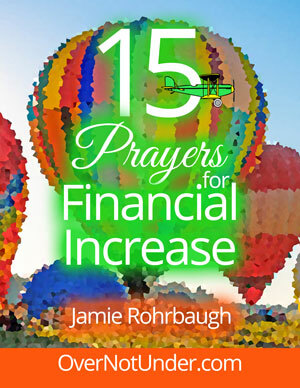 I’m OVER seeing the demon spirit of poverty wreak havoc on God’s people. “You are of your father the devil, and the desires of your father you want to do. He was a murderer from the beginning, and does not stand in the truth, because there is no truth in him. When he speaks a lie, he speaks from his own resources, for he is a liar and the father of it” (John 8:44). And the people of God eat it up. Seriously. 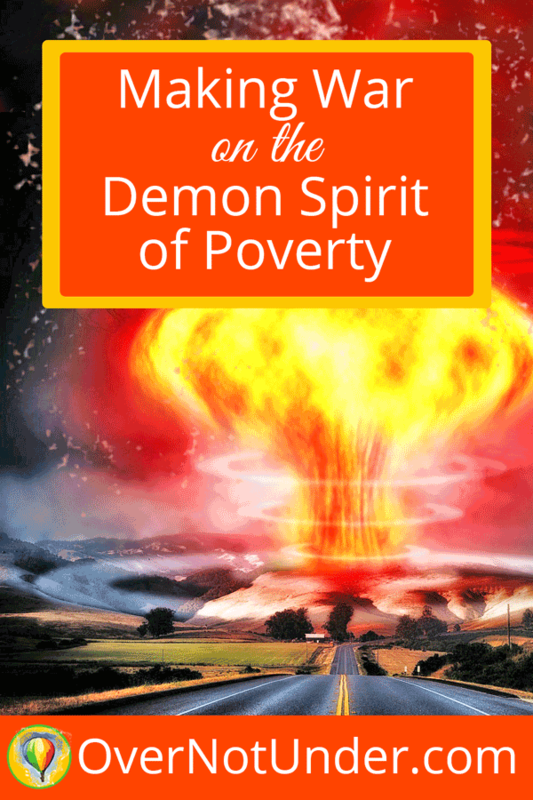 God’s people love the demon spirit of poverty. They love the demon spirit of poverty more than they love God’s Word about how God wants to bless them. They love the demon spirit of poverty more than they love God’s Word about how they should do business. They love the demon spirit of poverty more than they love God’s Word telling us how both churches and ministries of any kind should be run. They love the demon spirit of poverty more than they love the people they try to serve; for they are rendered ineffectual at truly serving God’s people by the poverty-ways and poverty-demonology they teach. And since God magnified His Word above His name, and the Word became flesh and dwelt among us, and since the Word of God is God’s entire, inerrant, infallible message to men, and it says that people should obey it wholeheartedly … people who embrace the spirit of poverty love this demon more than they love God. It’s sad. Truly sad. Heartbreaking, even. And I’m fed up with it. I desire to completely eradicate poverty from the Body of Christ. John the Baptist, shouting out that the Lamb of God had arrived. Martin Luther, nailing the 95 Theses to the church door in Wittenberg, Germany, to protest the sinful sale of forgiveness of sins (“indulgences”). Reformers like John Knox, Huss, and so many others who each had messages to the Body. Billy Graham, who brought the Gospel of salvation by grace through faith in Christ to public awareness, and his preaching brought many to salvation. Franklin Hall, who re-dug the old well of corporate, extended fasting and prayer in the early 1940s, which ultimately resulted in the healing revivals, the Latter Rain outpouring, the thrusting out of many evangelists into the harvest field, and ultimately, resulted in Israel becoming a state. Dutch Sheets, who pioneered the modern-day intercessory prayer movement in the 1970s–and now it’s going strong today. Lou Engle, who has mobilized a generation to fast and pray for the ending of abortion in America. Bill Johnson, whose message teaching again what the Kingdom of God is–“on earth as it is in Heaven”–has radically revolutionized the Christian walk of everyone who has an ear to hear. I could go on and on, but I hope that you get the message. God has always used one willing person to convey the message of His heart for a generation. That sentence makes me gasp, then cry, then whisper. Because each of us is that one if we are willing to be … and I am that one when it comes to preaching the Word about the abundance of God. They don’t want to submit to God and His Word. They don’t want to take responsibility for their part in the error in which they walk. They don’t want to accept every believer’s responsibility as clearly defined in Scripture: that the violent must take the Kingdom of Heaven by force (Matthew 11:12). But other people do desire to hear. They choose to hear. People with ears to hear look at these Scriptures and so many more, compare them to what they see in their own lives, and they see that the two standards are not equal. Scripture clearly teaches a higher standard; a higher reality; a greater level of abundance. And people with ears to hear cry out to God from the depths of their hearts for help. These people are humble before God. They search the Scriptures. They are willing to let go of their sacred cows in order to bring their lives into the kind of Lordship prescribed in the sacred text. JESUS. Let us value You, Lord. And everything You say. And it all starts with humility. It was tough to listen to this teaching about raising the dead because it challenged all my paradigms. No, not challenged. It crushed all my paradigms. Broke them. Annihilated them. … and I am really careful about discerning whether anything I hear or read matches God’s Word. REALLY CAREFUL. So I listened to this guy teach about raising the dead. While I listened, I carefully–and somewhat skeptically–compared each point he made with what the Word says. I listened also for context, comparing each point he made with what the Bible says across its pages (not just in one phrase that can be twisted or skewed to say something it really doesn’t). And you know what? Every point he made was solid … but it sure rocked me. And when I say “rocked me,” I mean my spirit came unhinged. Unhinged, but in a good way. The power and anointing on this guy’s message was off the charts. It was the purest, sweetest teaching about Jesus I have ever heard–and it was all about His resurrection power. But boy, did it ever wreck my paradigm. Listening to this guy teach about dead-raising and resurrection power rocked my world. I had to let go of some sacred cows that we all have in order to listen to the limitless, boundless love and power that JESUS has. I’m gonna be honest with you: it was hard. But you know what? This teaching about resurrection power took my faith to a whole new level. You have to let Holy Spirit root out and destroy your sacred cows so you can receive truth. That’s why I say that forsaking poverty and moving into abundance requires humility. Abundance and wealth are the will of God for you … but they require YOU to submit to all of God’s Word, not just the parts you already understand and walk in. So will you go with me? Will you let Jesus have your sacred poverty cows, offering your WHOLE self on the altar as a living sacrifice to Him? Leave a comment below and say yes or no. FATHER WANTS TO RELEASE ALL THE MONEY HE HAS STORED UP FOR US SO THAT WE HAVE THE WEALTH OF THE NATIONS AS HE PROMISED AND IT IS FOR SUCH A TIME AS THIS !! 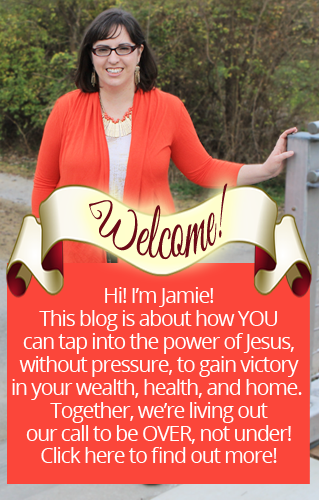 Thank you Jamie your teaching on wealth has transformed my thinking over the months I’ve been reading your blogs. I used to be wary of it because of the prosperity gospel seeming so cheap like people used God for money but you reveal a much better and truthful way to view wealth so keep on preaching! Thank you & god bless u for this article . Hey Carol, “sacred cows” is an expression that means that some people hold certain things or concepts so tightly that they don’t allow anybody to challenge them, even if the things they are holding onto are ridiculous. Hope this helps. Thanks for asking! Yes – Yes – and – Yes! HALLELUYAH and Amen.